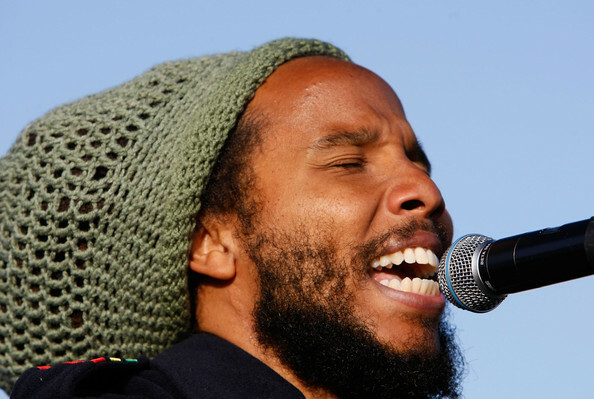 *After taking on children’s music on 2009’s “Family Time,” Ziggy Marley returns to his regular musical path with “Wild and Free,” due out June 14 on his family’s Tuff Gong Worldwide label, reports Billboard. Marley recorded “Wild and Free” in Los Angeles with producer Don Was and a group of musicians that includes Rolling Stones bassist Darryl Johnson; “He played with Miles Davis, and I wanted to hear Miles stories,” Marley says with a laugh. Guests on the album include actor Woody Harrelson on the title track, which was used for California’s Proposition 19 campaign to legalize recreational marijuana, Heavy D on “It” and Marley’s oldest son, Daniel, on “Changes.” Key to the album, however, were the extensive demos that Marley made in his home studio, which he says made it easier to achieve the sound he was looking for on “Wild and Free’s” 12 tracks. A variety of themes run through the album, including “changes and revolution” both globally and personally. “Social revolutions and group revolutions are good and we need that,” Marley says, “but we also need personal revolution, revolution within ourselves that change who we are as people.” To that end is the album’s first single, “Forward to Love,” which was inspired by his wife, Orly. The use of cannabis and hemp are also promoted on the album, but not just for recreational purposes, Marley says.